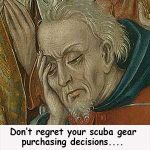 As a passionate wreck exploration diver with more than 25 years experience, I often get asked equipment advice by recreational and technical wreck diving students. Over many years, I have found a few ‘favourite items’ that I now use all the time for warm-water wreck diving. 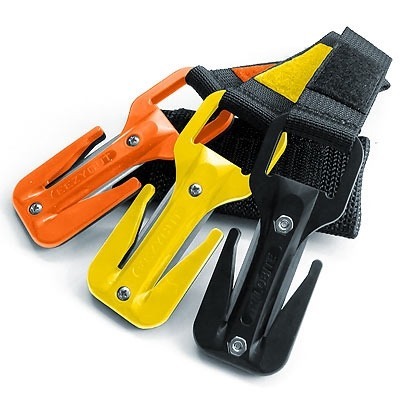 These are kit items that offer superior safety, efficient function and/or ease of use. Of the many things I carry as part of my standard wreck-penetration set-up, the following ten items are worth special consideration by those seeking to equip themselves for effective wreck diving. 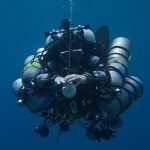 Sidemount configuration equipment is a really good choice for wreck diving as it supplies a copious volume of gas and provides a true form of redundancy. Both of these factors are important for adding safety in overhead environment diving. 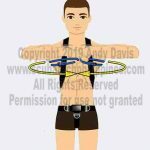 Additionally, a properly configured sidemount rig will help protect vital valves and hoses from impact or abrasion damage and helps minimize the risk of the diver getting entangled in wires, lines and netting. 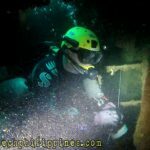 I regularly use the Aquamundo sidemount, which I find to be incredibly durable during challenging penetration wreck diving. 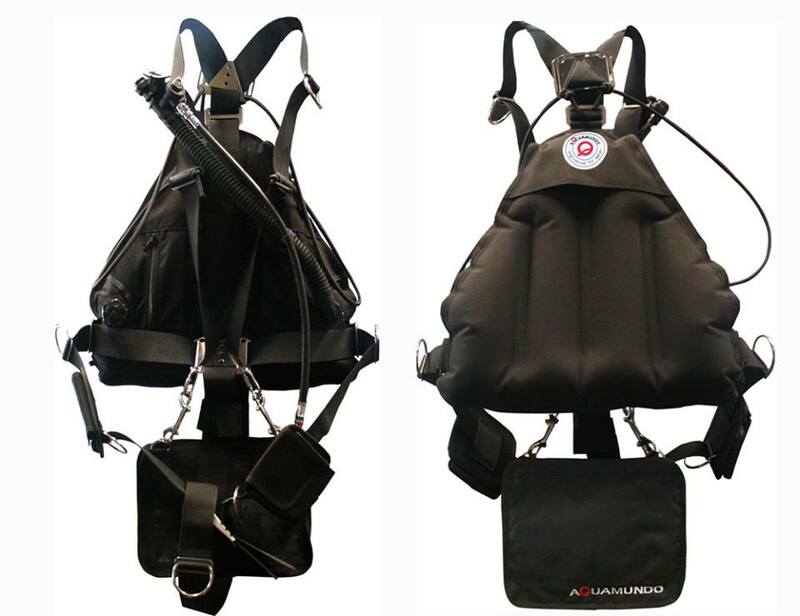 It is streamlined, has sufficient buoyancy for warm water extended range technical diving and it’s modular design suits my inclination to fine-tune and tweak my equipment set-up for wreck diving functionality. The Aquamundo provides a rugged, streamlined solution to wreck penetration diving with redundant gas supplies. 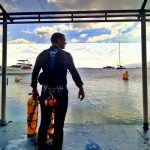 There are many other very capable sidemount rigs on the market, with more being added to the selection every month. Individual choice and suitability of sidemount rigs varied greatly, not least due to environmental factors like water temperature/weighting or whether the diver will enter overhead environments, decompression or just dive open water. 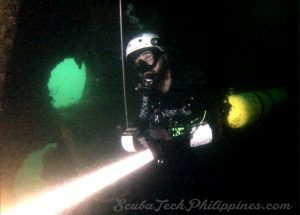 Other sidemount BCDs to consider are the; XDeep Stealth Tec/Rec, Apeks WSX-25, Razor 2.0 and the Hollis Katana. 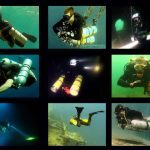 A full range of available sidemount BCDs is here: A List of Modern Sidemount Diving Systems. Wrecks pose many more entanglement hazards than the average coral reef; therefore reliable cutting tools are critical safety equipment for wreck divers. One of the most effective tools available for cutting through loose line and nets is the Eezycut Trilobite. Traditional bladed knives, even if serrated, have trouble cutting through untensioned, free-floating lines, but the surgical razor on the Trilobite is reliably sharp enough to slice through even the most frustrating mono-filaments. I carry two Eezycut Trilobites for wreck penetration diving; one attached to the bungeed gauges on each forearm, where they are quick and easy to access. One of the other good benefits of a Trilobite is that it becomes very difficult to accidentally cut yourself or your equipment. They are very quick to deploy and get into action. If I am likely to encounter metal wires, then I will carry a separate set of metal-capable shears as a contingency, in my pocket. The Eezycut Trilobite is available in multiple colors and has several different sheath options for attachment in different locations on the diver. 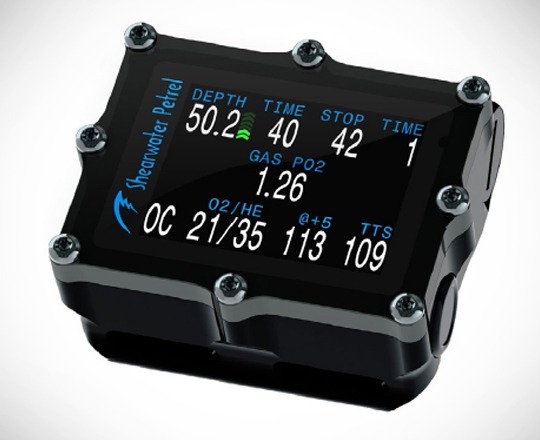 In my opinion, Shearwater are the clear leaders in the technical diving computer market. I’ve used the Predator for CCR diving, I own a Petrel 2 and I’ve heard nothing but praise for the recently released Perdix. For technical wreck penetrations, I value the clarity and brightness of the Petrel’s large screen. It comes loaded with Buhlmann ZHK-16 GF… and has unlockable VPB-B algorithms; so works seamlessly with major dive planning software like Multideco. The primary menu is partially user-configurable and I like having the GF99 information as a worst-case scenario bailout (the shortest possible ascent schedule, ‘riding’ the ceiling without any conservatism)…. and the @+5 display keeps you informed of your decompression obligation 5 minutes into the future at your current depth. For recreational divers, there is a dedicated ‘rec’ mode that keeps the information display simple and uncluttered; and provides a safety stop countdown. It has Bluetooth for PC or phone logbook sync and the integral electronic compass is a joy to use. Close rivals include the XDeep Black and Heinrichs Weikamp OSTC2. The Shearwater Petrel has a bright display, excellent for dark wreck diving penetrations.Owners will always praise the company’s excellent customer service. I first tried Force Fins over 15 years ago as a remedy to picking up compartmentalization syndrome in my calf muscles during my military service. Force Fins prevented my legs from badly cramping. I fell in love with them, especially the efficiency of thrust and short length for highly controlled manoeuvrability in confined spaces. I find that they work excellently for wreck diving and are virtually indestructible no matter how much-rusted metal they are scraped against over the years. The bungee heel strap option makes them super easy to remove and replace… and you can even climb a boat ladder whilst still wearing them. For tropical diving, I’ve worn them with a pair of Converse sneakers for shore or rocky entries. 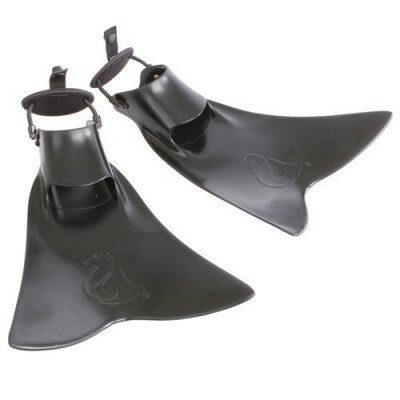 Other good fins with good control for non-silting fin kicks suitable for penetration wreck diving include the Hollis F2 and ScubaPro JetFin. The pedigree of Force Fins is illustrated by their numerous supply contracts to the elite special forces of many nations around the globe. I’ve found that primary reels range from the sublime to the ridiculous. 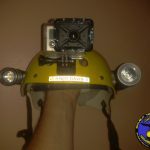 Side-handled reels initially became popular with cave divers as they allow the user to deploy or retrieve line whilst still pointing their wrist-mounted/goodman-handled torch in the direction of travel. The design is also much less prone to tangle and snarling than many top-handle designs. 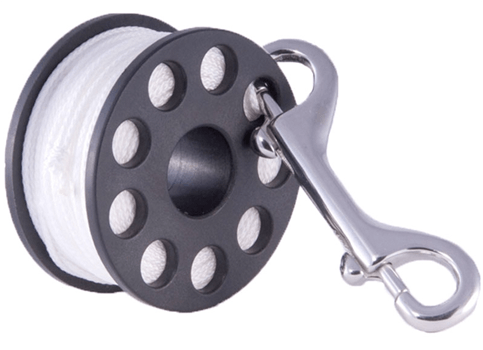 Manufactured from solid Delrin, the reel is incredibly robust, relatively lightweight and very intuitive to operate. Other brands to consider are Halcyon Pathfinder, Tilly-Tec, Agir-Brokk and DiveRite Sidewinder. 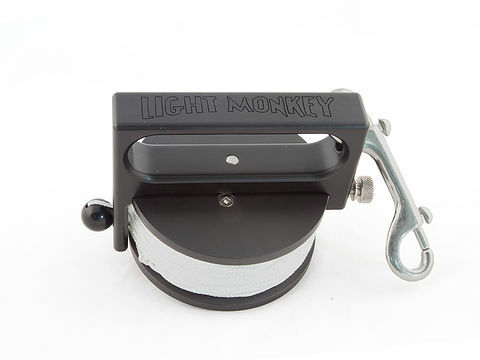 Light Monkey make primary reels in 200, 400, 800 and 1200 foot capacities, allowing for even the most ambitious technical wreck explorations. 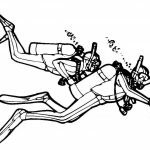 These are the best-kept secret of warm-water wreck divers. 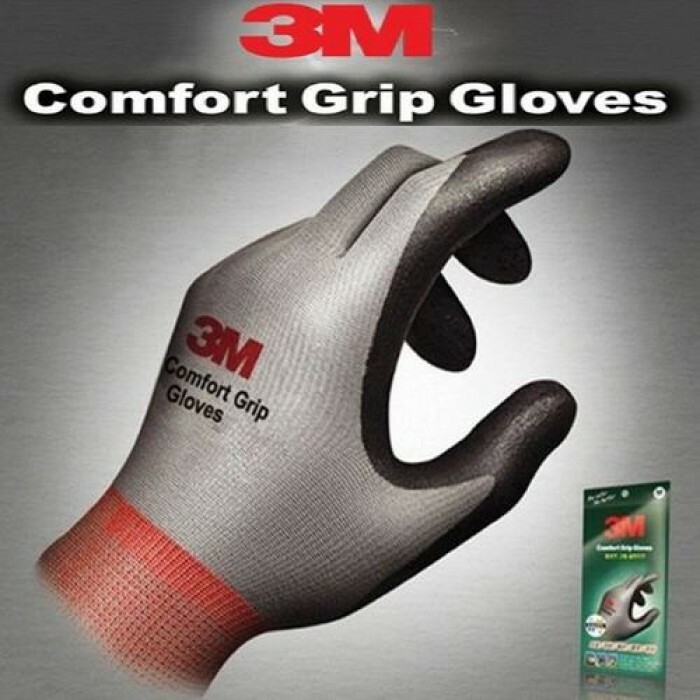 3M Comfort Grip gloves are cheap and available in most good hardware stores. 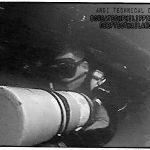 The nitrile grip lining is sufficient to protect against rusted metal cuts, hydroid stings and other commonly encountered wreck diving injuries. They offer exceptional dexterity – you can tie fine knots when wearing them; they grip excellently when climbing up boat ladders. Over 25 years of wreck diving, I’ve tried all types of dedicated diving gloves; often very expensive, that had kevlar protection and many other ‘special features’, but I’ve never found a glove to match the performance of this humble workman’s glove. The 3M Comfort Grip has a nitrile palm coating over a breathable nylon stretch liner, providing good protection from sharp, rusty edges inside wrecks and allowing precision handing dexterity of equipment and lines. Helmets are a very good idea on wreck penetration dives. Having had to remove splinters of metal from my scalp on several occasions, I now use a helmet on every wreck penetration dive. The other advantage, especially as a sidemount diver, is that the helmet provides a great location to stow backup lights for instant access. I’ve also mounted a GoPro on the front and wide-angle video lights on the sides; an approach that lets me film wreck penetrations ‘hands-free’ whilst busy running guidelines. Light Monkey is the only company making a dedicated sports diving helmet, but I know a number of divers who use customized versions of climbing or kayaking helmets. You can’t use a helmet that has a foam lining, which most do, as there is too much positive buoyancy pulling up on your jaw throughout the dive. 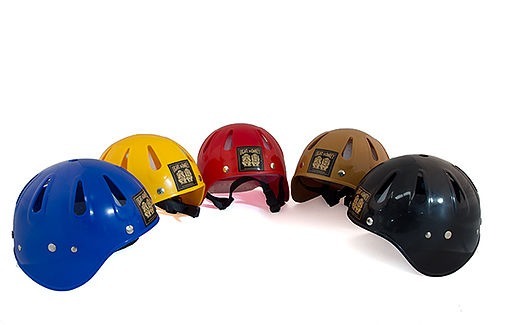 Light Monkey helmets are available in a variety of colors and are adjustable to fit head sizes 52-58″. I like my gauges (Shearwater Petrel, Suunto Vyper in gauge mode and Suunto SK7 compass) held on my forearms where they are easiest to read and help retain situational awareness, even when busy operating a reel and torch. 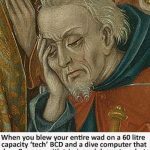 I also dislike floppy, extended watch-style straps on my instruments; they are too easily entangled in lines and don’t retain position when my wetsuit compresses and the strap loosens. Bungee mounts are a great solution; low profile, always snug and you are able to angle/adjust the gauges exactly where you want them. 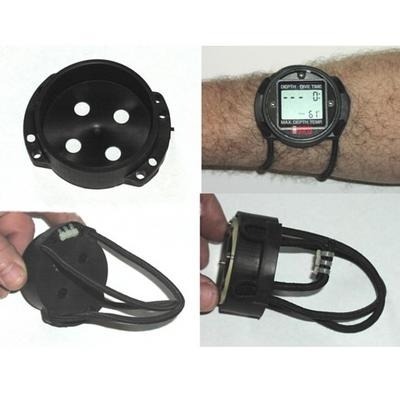 Deep Sea Supply (DSS) makes a range of special bungee mounts to fit many popular diving computers and the Suunto SK7 compass. The added benefit is that I can also fit my Eezycut Trilobite cutting devices on the bungees. A very handy solution that keeps your expensive instruments secure and exactly where you want them. 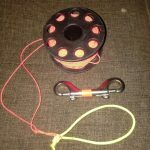 I always carry two finger spools on technical wreck dives; one for short jumps/gaps off the primary line (and DSMB deployment) and one as a safety spool for lost line/buddy/exit searches. I put small knots at 3m increments on the safety spool to aid situational awareness in low/zero visibility conditions. For recreational wreck divers, I often recommend that a decent length finger spool (30-45m) is more than sufficient for virtually every light-zone penetration that may be considered. The benefit for recreational divers using a finger spool is that they are impossible to tangle/jam and at a relatively cheap price (~$25-30) there will never be a reluctance to leave the line in place when an immediate, uncomplicated exit becomes prudent. Using a finger spool effectively takes a little practice, but once you’ve had chance to get familiar with the right technique it is very quick and simple to lay out and reel in. I will only buy spools supplied with good quality stainless steel bolt-snaps and with tough, kink-free, line of at least #24 braid cave line. Don’t succumb to some of the cheap generic finger spools; whilst some are okay, others have very cheap line or are badly designed with holes positioned to make it very hard to clip off the bolt-snap. Other reputable brands include Halcyon and DiveRite. 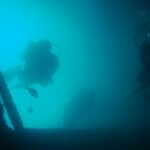 Wreck diving is a specialist scuba activity and penetration into a wreck demands specialist training, not just appropriate equipment. I strongly recommend that you seek out a dedicated, active wreck diving instructor before attempting wreck penetration. 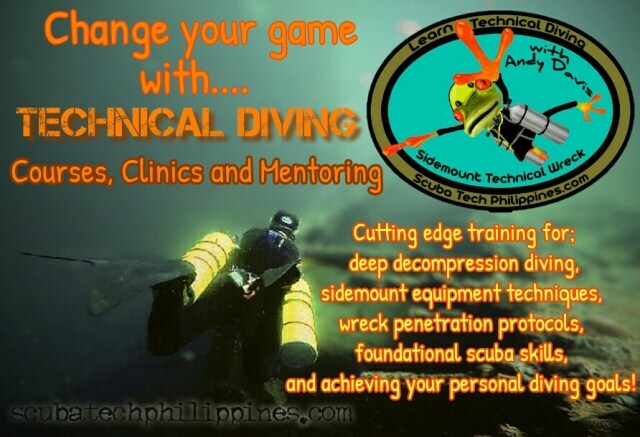 As with cavern diving, the most accomplished instructors are those who dive at a higher level than they teach – technical wreck penetration diving.